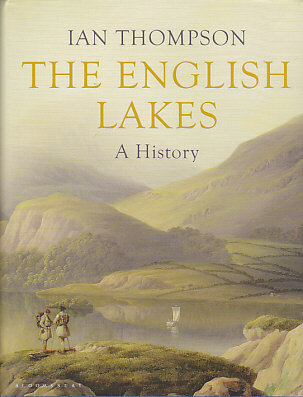 A Tour of the English Lakes with Thomas Gray & Joseph Farrington RA. By John R. Murray. Published by Frances Lincoln Ltd, 4 Torriano Mews, Torriano Avenue, London NW5 2RZ, England. www.franceslincoln.com. 2011. 159 pp. Illustrations. Hardcover. £25 or $45. Thomas Gray has almost been forgotten except perhaps for this Elegy Written in a Country Churchyard. Yet, his journal is regarded by many as the first example of modern travel writing. His journal covers a number of journeys, but in 1769 he traveled through the English Lakes, now known at the Lake District. The journey reported here is a transcription of the journal but also an account from four letters to a friend Dr. Thomas Wharton, which was needed to fill in a gap in the journey. The journey took fifteen days, and covers 17 pages of the book. It is an excellent portrayal of travel in this time period and is relatively easy to picture if you are familiar with the area. The book includes sample pages from the manuscript showing tight clear writing and detailed sketches. A few years later, the artist Joseph Farrington made a similar tour following in Gray’s footsteps, painting what he saw along the way. These paintings included water colors and ink-and-wash (sepia) sketches. A number of these plus engravings of these scenes were published in 1789 and 1816. For this volume those paintings relating closely to Gray’s journey have been selected to create a visual tour of the Lakes. They are arranged by locality showing different scenes around the Lakes: Ullswater (6); Derwentwater (9); Bassenthwaite (1); Thirlmere (2); Grasmere and Rydal Water (5); Windermere (6); plus some supplemental drawings. The location of each viewpoint is indicated on maps reproduced from Peter Crosthwaite’s Maps of the Lake District, originally published in 1794. For each of the localities chosen there is usually a two page spread showing the watercolor, engraving and a modern photograph from as near to the painters viewpoint as possible, plus explanatory text or a descriptive quote that accompanied the 1816 publication of the images. Many of the photographs are spot on with little changed in the scene, though a number of the photographs needed to be taken from slightly higher elevations because of modern tree growth. For anyone with ancestors in the Lake District who wants to get a feel for what the countryside was like before the roads developed, or the tourists arrived, or for ancestors who made the tour to the Lakes, then this beautifully illustrated book will help put them into context. The book also provides a good bibliography on the early history; the artists, writers and tourists who traveled in the area.